Let’s face it, estate planning terms can be confusing, particularly since different estate planning attorneys use different terms that can mean the same thing. 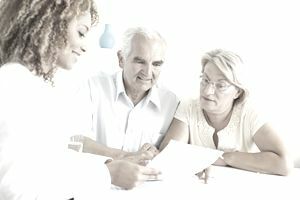 Take "Living Trust" and “Revocable Trust” and "Revocable Living Trust" – all three of these terms can be used to describe the same thing – a trust that is created while you are alive and kicking and which you can alter, change, amend or completely revoke while you are still alive and kicking. More specifically, a revocable living trust is a legal document that is created by an individual, called the Grantor, Settlor, Trustor or Trustmaker, to hold and own the Trustmaker’s assets, which are in turn invested and spent for the benefit of the Trustmaker as the beneficiary by a fiduciary called a Trustee. In most cases, the Trustmaker of the trust will also be the Trustee, although some wealthy individuals may choose to have an institution manage their trust property. So why are there so many different terms to describe the same thing? Because, as the saying goes, “To each his (or her) own.” Some estate planning attorneys, including me, use the term "Living Trust" when naming a client's Revocable Living Trust agreement: "Jane Doe Living Trust dated February 29, 2012." Why are some clients' trusts called “Living Trusts”? Mainly because this term is shorter than “Revocable Trust” or "Revocable Living Trust" or "Declaration of Trust" and is easier to understand than "Inter Vivos Trust" (“inter vivos” means “between the living” in Latin). With all of that said, you should be aware that the term "Living Trust" can also be used to describe an "Irrevocable Trust" that is created while you are alive and kicking, therefore making it an "irrevocable living trust." It is in contrast to a "Testamentary Trust," which is a trust that goes into effect after the death of the person who has created the trust. But to date, no one has come across an Irrevocable Trust that has been named the “Jane Doe Irrevocable Living Trust” – but that’s not to say that somewhere, someplace, there is a trust named the Jane Doe Irrevocable Living Trust. Maybe all of this has confused you instead of helped you to understand the difference between revocable trusts, irrevocable trusts, living trusts and testamentary trusts. If you're confused, don't be. A trust can be named anything, but most estate planning attorneys stick to the same terms out of habit, which is usually based on what they were taught by a more senior attorney when they were starting out in the estate planning field. It is far more important to remember that regardless of what a trust is named, it's the terms and provisions contained in the actual written trust agreement that dictates how the trust is to be administered and disposed of during each beneficiary’s lifetime. The name of the trust is just how it is referred to and usually has no legal meaning or significance whatsoever. Also, keep in mind that if you ask for a revocable trust but instead get an irrevocable trust, then this may very well present a problem in the future since a revocable trust can be changed at any time but an irrevocable trust can't be changed or can only be changed after jumping through various legal hoops. What Are the Benefits of Having a Revocable Living Trust vs. a Will? What Are ABC Trusts and Their Tax Implications? How Much Should You Fork Over to a Successor Trustee? What are the Requirements of Charitable Remainder Trusts?